Looks like we'll have to have an umbrella nearby as the weekend gets closer. A cold front is slowly approaching from the north and will cause an increase in clouds and eventually showers over the islands Friday. 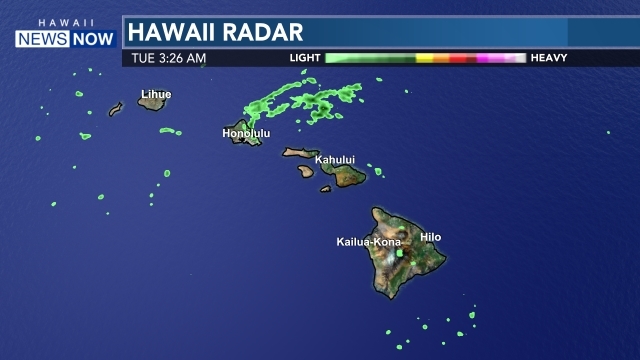 More clouds and showers are expected as the system stalls just short of the state Saturday and Sunday, and trade winds will become quite breezy thanks to high pressure moving in from the northwest. 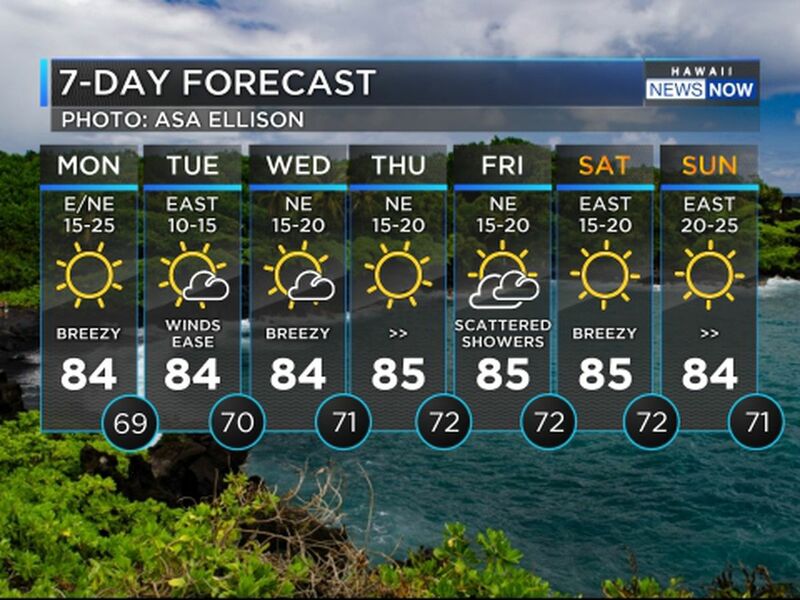 The front should fall apart Monday, but leftover showers will ride in on locally breezy trade winds Monday, with the trades and the showers decreasing just a bit for the Kuhio Day holiday on Tuesday. Surf for north and west shores have declined, but another incoming north-northwest swell could cause wave heights to flirt with advisory levels Friday night and Saturday. A smaller reinforcing swell is possible Sunday into Monday. 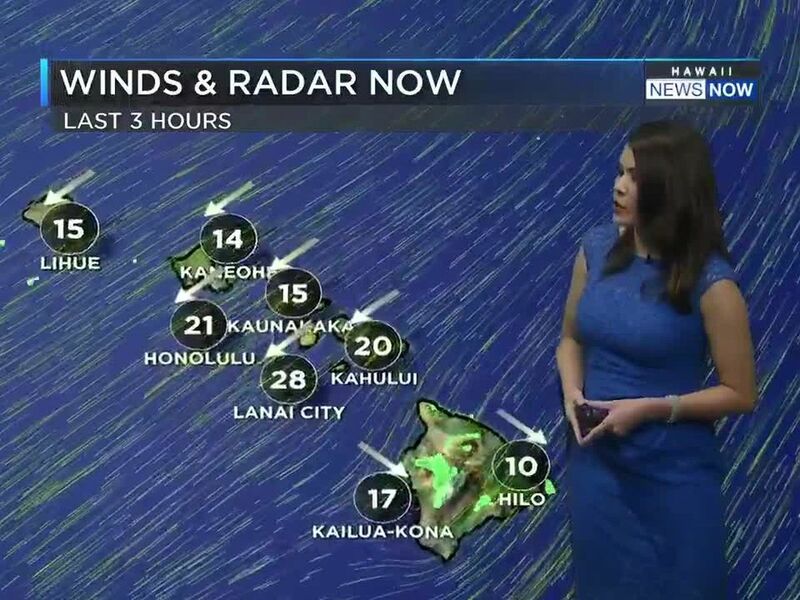 No marine warnings are posted, but a small craft advisory may be necessary when the trade winds pick up.